At this point, there’s probably not a single B2B marketer who hasn’t heard of Drift. They created a category (and wrote the book on it), have thousands of raving fans, and dominate everyone’s LinkedIn feed every month or so. By anyone’s measure, they’re a hypergrowth company that’s not slowing down. So how did they start and build momentum around their now infamous movement? What strategies have helped them become such a fast-growing company? 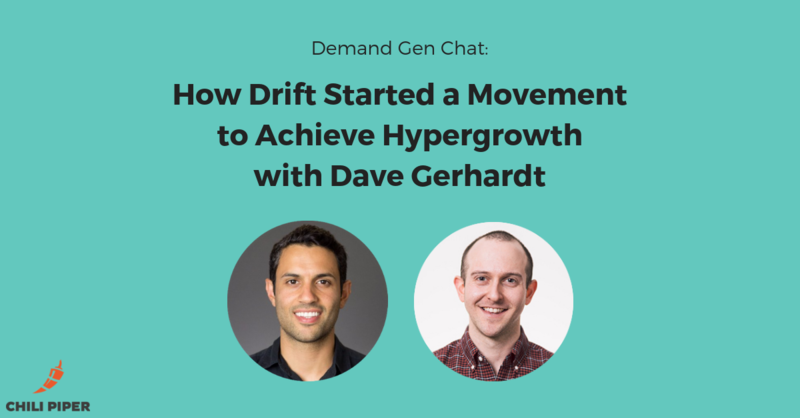 Today’s guest has been one of biggest catalysts for Drift’s growth – Dave Gerhardt. Dave is Drift’s VP of Marketing and also one of the hosts of Seeking Wisdom, a popular podcast that he does alongside their CEO David Cancel.